NEW PLAYERS ONLY, 18+, MINIMUM DEPOSIT FOR ALL BONUSES: £20, FREE SPINS: 50 WILL BE CREDIED WITH 1ST AND 3RD DEPOSITS, ALL WINNINGS WILL BE CREDITED AS BONUS FUNDS AND MUST BE WAGERED 40X, BONUS MONEY: 100% WITH 1ST AND 3RD DEPOSITS, 50% WITH 2ND DEPOSIT, WAGERING REQUIREMENT 30X BONUS + DEPOSIT AMOUNT, TERMS AND CONDITIONS APPLY, GAMBLEAWARE.CO.UK. All our partner sites are independently reviewed by our team of industry experts. We examine 10 different criteria and award a score out of 10 for each, adding up to a final mark out of 100. You can read a full description of our Prospect Hall Casino review process here. Prospect Hall Casino received a score of 87/100. Prospect Hall is a classic online casino, offering a wide selection of slots and table games from top software providers from across the world. The brand comes from the Betable Ltd. gaming company, and is licensed out of Alderney and the UK. 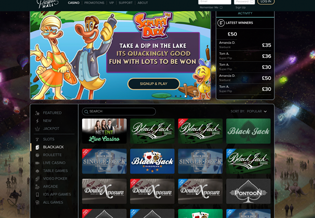 Since launch in the UK in 2015, Prospect Hall has grown to be a popular destination for online casino players, with a worthwhile welcome offer including 100 free spins on Starburst™ Slots, an enticing rich and simple layout and design, and a wealth of games content that includes products exclusive to Betable Ltd. brands alongside famous titles, big Progressive Jackpots and a nice Live Dealer Suite. Read on to find out more about what Prospect Casino has to offer, or if you’re sold on it already, sign up right away by clicking Join Now on this page. 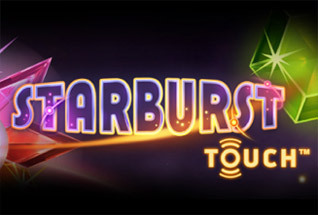 New players to Prospect Hall Casino are welcomed with up to £300 in bonuses and 100 free spins on Starburst™ Slots across the first three deposits made at the site. You must deposit a minimum of £20 to qualify for each bonus, and you will receive 100% up to £100 on your first and third deposits, and 50% up to £100 on your second deposit. 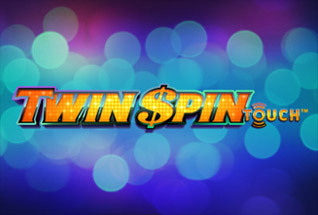 The first and third also come with your additional 50 free spins. The wagering requirements on your bonuses are a fairly standard 30x deposit and bonus, and 50x your winnings for Free Spins. However, your bonus is redeemable, along with winnings, once you have met these conditions. Note also, that the maximum bet that can be placed with bonus money is £8. Additionally, with your bonus you will not be able to win more than 10x the bonus amount rewarded, or £1,000 – whichever is greater. 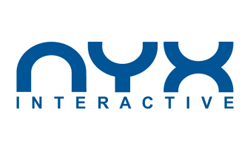 Prospect Hall has built a catalogue of quality games by building partnerships with the best-known suppliers in the industry, including Microgaming, NetEnt, Play n Go and Nyx Interactive. 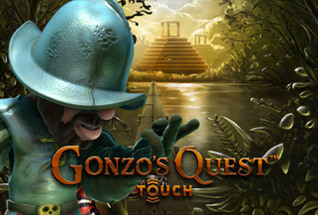 So, fans of slots titles like Starburst™, Gonzo’s Quest, Aloha Cluster Pays, Scruffy Duck Slots, Thunderstruck 2 and Game of Thrones will be happy here. For Progressive fans there is a whole section dedicated to the mega jackpots, including Big Top Tombola, Arabian Nights, Leprechaun’s Luck and Amazon Wild 100 Line. For table game players there is an extensive selection of the best games on the market, with a good mix of roulettes, 5 versions of Blackjack, including Double Xposure Blackjack, Texas Hold Em, Pai Gow Poker and Caribbean Stud. Prospect Hall also have a good selection of Video Poker games, All American Double Up, Deuces Wild, Jacks or Better and Joker Poker. Most of these can be played on Single Hand or Multi Hand. An increasingly important part of any online casino is now the Live Dealer area. 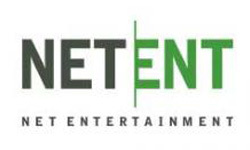 At Prospect Hall you get one of the best avaible, with games provided by leading software brand, NetEnt. The games on offer include Common Draw Blackjack and a number of good Roulettes, all delivered with superb sound, and video streaming. Prospect Hall Casino advertises both bonus and cash offers. The latter are real money rewards that can be withdrawn or played without any conditions attached to them. 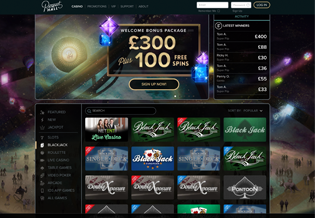 As a regular player you will be entitled to free spins and bonus offers on a regular weekly basis, but to keep you on your toes, Prospect Hall hold back on giving too much information away on what you will be getting. So keep an eye out for emails, and also for SMS messages with updates on the latest offers. For big spenders, a VIP program is available, which includes a dedicated account manager, invites to hospitality events, birthday and Christmas bonuses, enhanced cashback offers, and importantly, faster withdrawals. Adding funds to your casino account is one of the easiest things to do at this site. You have numerous different payment methods to select from, starting with the credit and debit card options from Visa and MasterCard. You can also make use of an eWallet, starting with NETeller and Skrill. And in addition to this, you can make use of PayPal. Worldpay is another option that is open to you, or you have the chance to use a bank wire transfer. Withdrawals can be made with most of the same methods, and for VIPs, an enhanced, speedy withdrawal option is available. Prospect Hall is very easy to find your way around, with a no-nonsense set up, with a simple tab system to locate your game type down the left and then a simple listing of all the games in that category on the right. Choose your game and get playing! Prospect Hall Casino is available on all devices – desktop, mobile and tablet. Prospect Hall Casino’s repuatation has suffered somewhat in the past for not having any live chat or phone support. However, the site is now updated with a Live Support chat function, though it is still without a telephone service. Prospect Hall takes its licensing from the Alderney Gambling Control Commission and the UK Gambling Commission. The site is safe and secure, using SSL encryption to ensure that all sensitive data is scrambled.